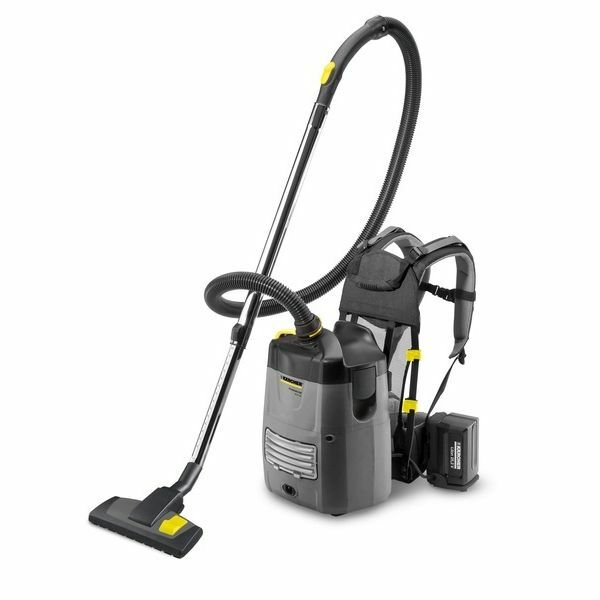 With innovative hybrid technology this backpack vacuum cleaner from Karcher can be run on batteries where access to a power supply is difficult, but can be operated from a normal power outlet, as well. 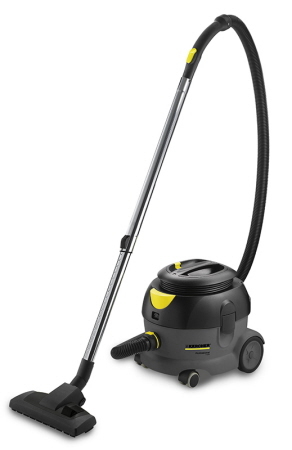 Running time with two rechargeable batteries is about 35 minutes. The Karcher BV 5/1 Bp vacuum cleaner is designed for quick and effective vacuuming of hard-to-reach, fast turnaround areas such as public transport, aeroplanes, cinemas, theaters and stairwells. With the new T 10/1 Professional we enlarge our dry vacuum program with a machine made especially for the target group building service contractors. It includes a pluggable power cord (12 m), an antistatic bend (for noticeably reduction of electrical discharge), a power cord integration, an extra strong main filter for vacuuming without filter bag and a coloured plug. Reinforced main filter basket guarantees vacuuming without filter bag. It is particularly interesting for contract cleaners, hotels and restaurants, offices, shops, hospitals as well as private households. 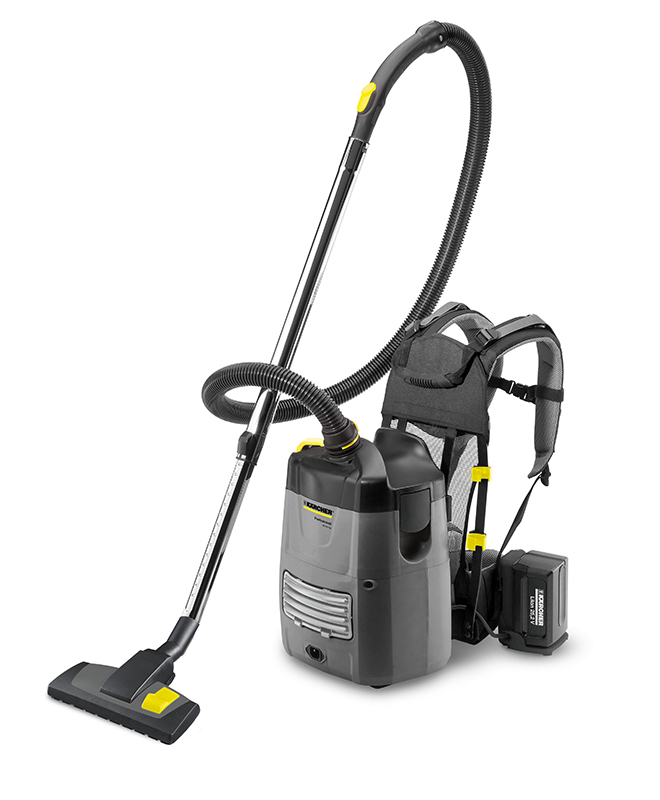 The unit has a convenient step-on switch for ease of operation and features two back wheels and two front castors for maximum manoeuvrability. 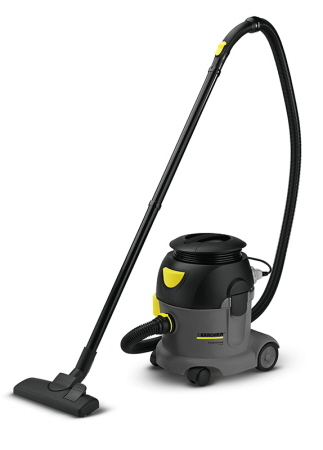 All together a powerful and robust middle class dry vacuum cleaner.